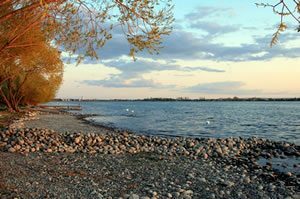 The City of Moses Lake is located on the shores of one of the state’s largest natural fresh water lakes with over 120 miles of shoreline and covering 6,500 acres. It is an outdoor recreational oasis featuring numerous parks and campgrounds. In addition to the natural beauty of the Columbia Basin, Moses Lake has many convenient, quality attractions and facilities where residents and visitors enjoy a variety of family events, concerts and other activities. Moses Lake is known as the desert oasis, and the surrounding area of Grant County Public Hospital District No.1, is located in the heart of the Columbia Basin in Central Washington. With a service area population of 54,000, livable is the best way to describe the community. Dennis Kearns, M.D. is a graduate of the UWSOM. He completed his residency at Grant Medical Center at Travis Air Force Base in California. He has practiced in Moses Lake since 1987. Family Medicine: Maria Celerian, M.D. • Jennifer Pimentel-Jahns, M.D. Internal Medicine: E. Michael Graham, M.D. Internal Medicine • Marcus Kabosumi, M.D. Pediatrics: Karen Lindberg, M.D. • Toby Bond, M.D. • Natalie Paluch, M.D. 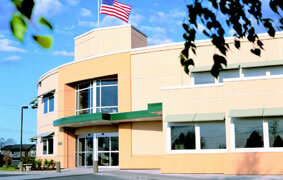 Clinic: Moses Lake Clinic is a multispecialty clinic and part of the Confluence Health-Wenatchee Valley Medical system. There are more than 30 physicians and 20 mid-level practitioners. 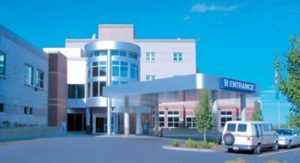 The clinic has a Medicare-approved ambulatory surgery center, a seven-day-a-week Walk-In Clinic, and a complete Occupational Medicine department. The facility has recently been expanded from 45,000 to 60,000 square feet. The Moses Lake Clinic physicians and staff are committed to providing quality healthcare in a friendly and caring environment. This clinic also precepts students in the RUOP and TRUST programs. Please note that drug testing through UWSOM is required at Moses Lake Clinic. Please visit UWSOM Compliance/Drug Testing for more information. Hospital: Samaritan Healthcare is located in Moses Lake. Organized as Grant County Public Hospital District No.1 in 1947, Samaritan is committed to improving the health and well being of the people of the Columbia Basin. The 47-bed hospital underwent a major expansion and modernization project in 2002. The projected added 60,000 square feet of new space and modernized another 60,000 square feet. These improvements have resulted in a virtually new facility featuring single-bed rooms, a completely new Intensive Care Unit, a new Mother and Baby Center, new cafeteria, lobby, and expanded patient and family waiting areas. Inpatient care is overseen by a team of hospitalists from the Confluence Health – Moses Lake Clinic. The hospital’s web site is www.samaritanhealthcare.com. 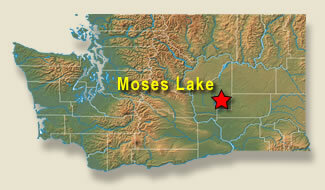 Moses Lake is located in the heart of Washington–1.5 hours from Spokane and 3 hours from Seattle on I-90. Amtrak services are available at Ephrata, 20 miles away.To see a map of where we are located and/or get directions from other locations, go to maps.google.com. It is recommended that students come with a car. Two-bedroom house within walking distance of clinic. There are abundant recreational activities including water sports, hiking, biking, rock climbing, fishing, and camping in the selection of nearby state parks and wilderness areas surrounding Moses Lake. As with much of Washington, grape vineyards have become an important addition to current agricultural markets. Farmers markets and winery tours offer seasonal access to these crops. In addition to activities featured in the local community event calendar, residents have access to concert entertainment at the nearby Gorge Amphitheater. 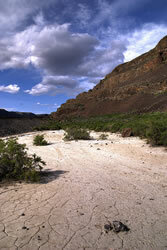 Referred to as the oasis, Moses Lake enjoys warm summer days and moderate winter temperatures. Winter daytime high temperatures run in the mid-thirties. Moisture is evenly disbursed and moderate, leaving residents to enjoy more than 300 days of sun per year.